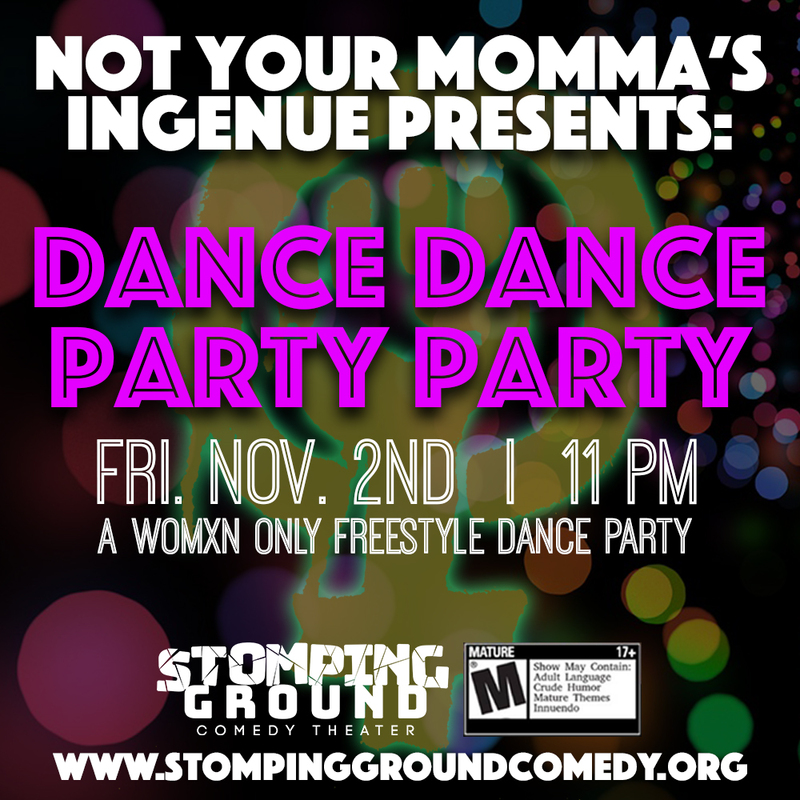 Stomping Ground is celebrating women all night and capping off with the nationwide phenomenon- Dance Dance Party Party! Enjoy comedy by women, for everyone at 8 pm and 9:30 pm and then dance the night away at Stomping Ground. This dance party is FREE but donations will be accepted and encouraged all night for Genesis Women’s Shelter- cash, clothing, and feminine products. Nothing to donate? No problem! Come party with your gals and celebrate womxn. This event is open to 18+. Doors open at 10:45 pm. We dance until 1 am!